Intel had announced the Oak Trail platform for tablets in early April. According to Intel, around 35 tablets and hybrids are being worked on using the Oak Trail platform. At Computex 2011, there were quite a few on display. 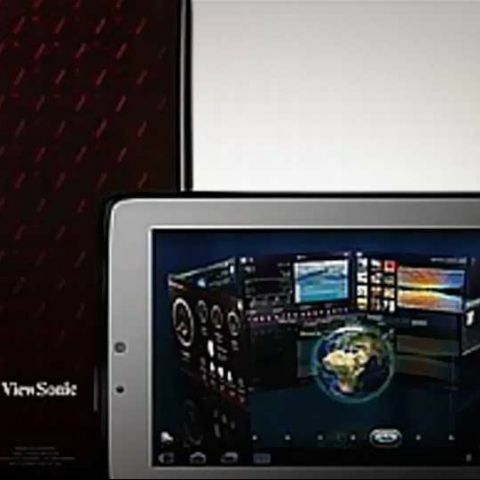 Viewsonic showcased the third tablet in their Viewpad series - the Viewpad 10Pro. As the name suggests it’s a 10-inch tablet with a capaticitve LED backlit LCD display. This is one of the first tablets based on the Intel's Oak Trail platform which minimizes power consumption and as a result the claimed battery life is a pretty neat at 5 hours on video play. One of its most striking features was the dual boot system incorporating Windows 7 Professional and Android 2.2 OS. As shown in the video, switching between the two OSes was as simple as touching a button on the screen. The approach was interesting – of trying to offer the best of both worlds, but we were miffed why there was no Android 3.0 Honeycomb support which is the OS specifically built for tablets.